The image of a dragon coiling around a sword is common in traditional Japanese iconography, particularly in the visual language of tattoos. 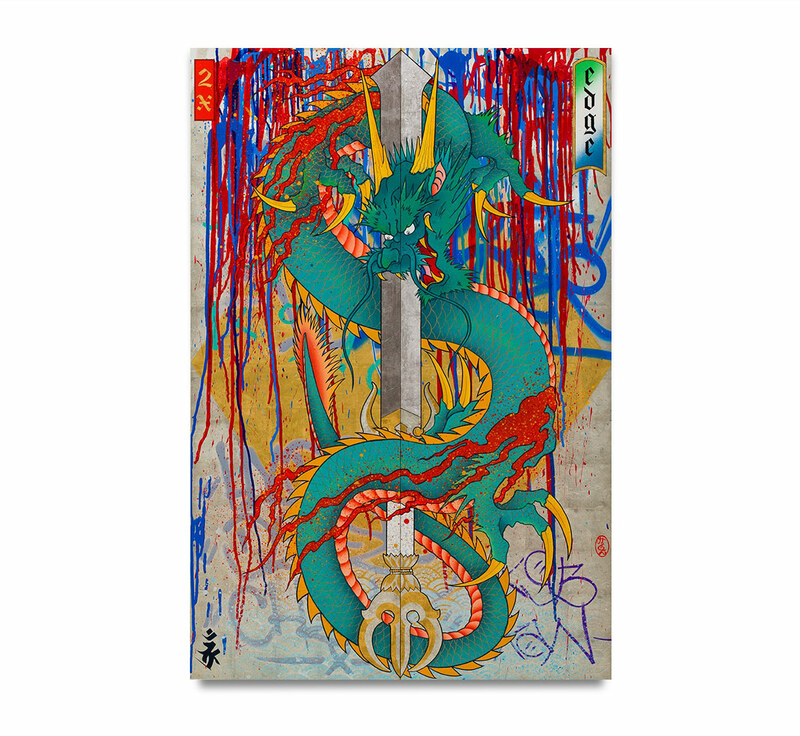 Fujita was attracted to the seductive and sinuous movement of a dragon wrapping around a sword's sharp edges, and felt compelled to create his own rendition of this popular image. The dragon itself represents courage and honor, while the sword signifies protection and strength. In the bottom left hand corner, you'll find the Bonji character for dragon depicted in bold black calligraphic strokes. Bonji refer to specific letters or characters in Sanskrit, the sacred language used in ancient Buddhist manuscripts.